Our exclusive Club Level restaurant offers exceptional cuisine with a spectacular view overlooking the arena bowl during Orlando Magic games and before many concerts and events. Jernigan’s reservations are for ticketed guests only. The first seating option will be from 5:30-6:30pm* and is exclusive to Loge ticketholders only. 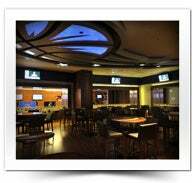 If you are a Loge ticket holder, simply present your ticket to the host when you arrive on game night. We will no longer accept reservations for the first seating. All other ticket holders may make reservations for the second seating option by clicking below. Pricing will vary from game to game, please call to inquire about the cost for the date you wish you attend. Priority seating will be given to premium guests and Orlando Magic season ticket holders. Ledge seating is reservation-only and on a first come, first served basis. For game night reservations, parties of one to six people may make reservations online through the link below. For parties of seven or more, please contact the restaurant directly at 407.440.7500. *Times may vary according to the game start time. Please inquire with the restaurant directly. Start your night right with a pre-show dinner. Reservations are strongly recommended. Check event listings for menus and pricing. Gratuity and alcoholic beverages not included in listed prices. Located on the northwest corner of Amway Center where Church Street and Division Avenue meet, Magic Grill is open to the public before and during all Magic games, concerts and ticketed events. Featuring two large bars, outdoor seating and more than a dozen flat screen TV’s, this restaurant is the perfect spot for fans to gather in a relaxed setting to enjoy traditional sports pub fare with a modern twist. From loaded nachos, delicious chicken wings, juicy burgers to the dynamite open face ice cream sandwich, handcrafted cocktails and local beers, Magic Grill has something for everyone. Visit the Magic Grill website. 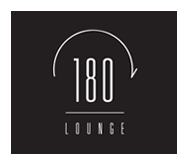 ONE80 Lounge is a tribute to style and class with attention to every detail. The venue caters to guests' every need featuring exclusive VIP seating, bottle service and unparalleled views of the City Beautiful. Join your friends up at the skytop every Monday, Thursday, Friday, Saturday and Amway Center event night, and set the tone for a memorable evening. Entrance is to the left of the Orlando Magic Team Shop presented by Adidas. For VIP and Private Group Reservations please call 407.913.0180 or visit www.180downtown.com. Must be 21 years of age or older. Stylish dress required. Directly adjacent to the Ozone deck, treat your friends and family to a unique dining and bar experience, complete with gorgeous sunset views on one side and a clear view of NBA action on the other. Encompassing the entire south end of the Promenade concourse, the Ozone Bar is a destination and the most talked about fan experience in the NBA. Located on the South end of the Terrace Level and one of the most prominent features of the concourse is the Bud Light Baseline Bar. Open to the bowl, it is a great place for everyone to enjoy a beverage, while never losing site of the action. It is conveniently located right across from Concessions and open to all that have a ticket to the event. Enjoy a contemporary, open-air setting at Sugar Skull Rum Landing while catching game highlights on the mounted flat screens, or simply relax with friends while overlooking the buzz on the Church Street Plaza below. With a full bar and the city as your backdrop, Amway Center’s front porch is always inviting. Sugar Skull Rum Landing is open before, during and after Amway Center events. The Fields Ultimate Lounge, located on the event level near the Orlando Magic locker room, is the exclusive destination for Courtside and Ultimate season ticket holders during Orlando Magic home games. Only ticket holders sitting in rows 1-3 on the floor, and in rows 1-6 of Ultimate seating have access to the Fields Ultimate Lounge. With plenty of room to eat, mix and mingle – along with all-inclusive food and beverages – the game is on like never before. Once access is gained in-game, it is non-transferable for another game. For information on how you may gain access to the Fields Ultimate Lounge please call 407.89.MAGIC. During select concerts and events, patrons with floor seats may enjoy a full service bar and select food items available for purchase while relaxing in the sophisticated atmosphere of the Fields Ultimate Lounge. Guests with floor seating may also access private restrooms within the Fields Ultimate Lounge.